Coker College and its Board of Trustees is pleased to announce Dr. Marlene Ross, a higher education consultant and former longtime director of the American Council on Education (ACE) Fellows Program, will give the college’s 111th commencement address on Saturday, May 11. 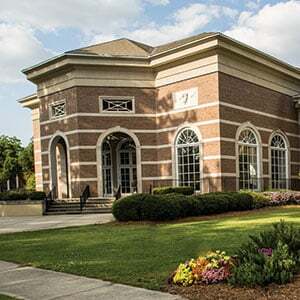 The class of May 2019 will be the last graduating class of Coker College as the institution’s name changes to Coker University on July 1, 2019. Ross currently serves as a higher education consultant and an executive coach to leaders at colleges and universities, including presidents. Before her career in consulting, she served as director of the ACE Fellows Program in Washington, D.C., for 17 years, and worked with the Fellows Program and held other positions at ACE for seven additional years. The ACE Fellows Program identifies and prepares a diverse group of higher education leaders for senior leadership positions. 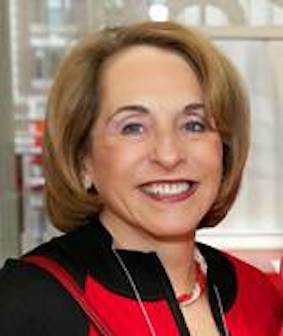 Approximately 1,000 leaders participated in the program during Ross’s tenure as director, and more than 300 of those have served or are serving as presidents and chancellors. In addition to her work with the ACE Fellows Program, Ross contributed to the planning and implementation of other leadership initiatives such as the ACE’s Institute for New Chief Academic Officers and Advancing to the Presidency, a workshop for vice presidents who have served more than three years in their current position and are seeking a presidency. Ross also served as a senior adviser for the Center for Effective Leadership, where she developed executive leadership programs for cabinet-level officers at colleges and universities. Ross has led groups of ACE Fellows on working visits to universities in several countries including China, England, South Africa, Mexico, Ecuador, Costa Rica, Taiwan, and Turkey. These visits focused on studying higher education leadership issues from an international comparative perspective. She also has served as a consultant to presidents in other countries. Ross is an author and frequent speaker on trends in higher education, leadership, leadership development, career planning, negotiation, and other issues in higher education. She has counseled many senior leaders and has conducted presidential evaluations, campus assessments, and conference and program planning. For the past 20 years she has helped plan and presented at the Leadership Institute affiliated with the Association for Theatre in Higher Education. Before joining the ACE, Ross was associate director of the Mid-Atlantic Center for Race Equity at The American University (D.C.) and served as an evaluator of federally funded programs at two and four–year colleges assisting institutions in improving planning and management systems. She also worked as an administrator and was on the faculty at the University of Maryland, College Park. Ross received her B.A. from Barnard College, her M.Ed. from Harvard University, and her Ph.D. from The American University. Coker College’s 111th commencement will take place on Saturday, May 11, 2019, at 8:00 a.m. in the courtyard at Davidson Hall.